A credit card taker has not to just filter among the best rewards, but he has to also look at other important criteria like annual fee, interest rate and period of free credit. 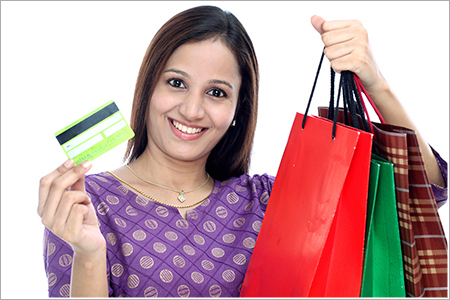 Every credit card issuing company entices holders with some or the other reward offers. This could range from getting merchandise, gifts to cash back points and air miles. A credit card taker has not to just filter among the best rewards, but he has to also look at other important criteria like annual fee, interest rate and period of free credit. The five tips here could make the task easy. Rewards Should Match Goals: Try to figure out as to which credit card's rewards make more sense to you. If you want to derive maximum advantage in your day to day spending, then you can look for the one which gets you reward on your day-to-day spending. A frequent traveler could look for card with air mile advantage. Those giving away discount coupons should be considered with caution as eventually that would mean more spending while redeeming. Rewards Come With Expiry: The idea of getting reward from a credit card could fail if you miss to read the fine print. All rewards are open for a time period and so do not let the opportunity go without being utilized at all. Take Care Of T&C: It would be unusual if your credit card company keeps the reward conditions as it is forever. They won't as you might come across some or the other change in reward structure. All you have to do is keep an eye on such changes and act if your card becomes less rewarding. Cash Back: Almost all the credit cards offer cash back on the points earned, which is one of the best way of getting rewarded as you are free to use the cash as you wish. However, generally cash back needs more points in comparison to other non-cash rewards and are thus, not attractive to all. Be thoughtful about choosing a card: People tend to spend less time on evaluating or comparing credit card offers and other terms. Mostly, a person carries more than two or three credit cards, even if they really don't need them. It is recommended to only retain such cards that offer higher benefits and are easy on your pocket. Rewards could become liability if one is paying much more in annual fees and other charges for maintaining those cards.